Yeghisheh Charents Literature and Arts Museum was founded in 1953 on the basis of the materials of the Literature and Theater Museums and R. Melikian Music Study Center. In 1967 it was named after the great poet Yeghisheh Charents. It has a collection of about 800 archives. The Museum maintains close ties with museums and institutions in other countries. Manuscripts kept in the Museum are used in publications on issues related to literature, language, history, philosophy, theater, music and cinema. The Museum has published sections guides and letters of a number of Armenian artists in its Literary Heritage series. The Museum holds symposium and exhibitions. An impressive collection of early printed rare books and newspapers is on exhibit. 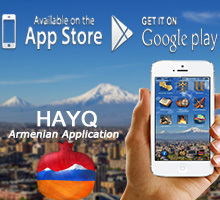 Address: Yerevan, 1 Aram St.